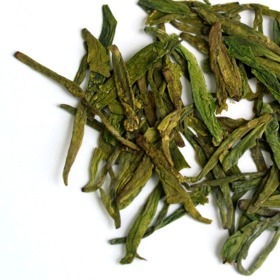 Bai Long Jing Green Tea is very special Long Jing Green tea. It was created in the early 80s and was a very famous tea back then. Bai Long Jing Green Tea has recently gain popularity due to its high content of amino acid. Bai Long Jing Green Tea is quite an expensive version of Long Jing Tea as it is made from very young tea buds harvest during Spring time.